After eight weeks of preparing, runners headed to Hawk Island park to run in the Blue Cross Winter Warm-Up 5K on Sunday. Hundreds turned out for the event after learning from running and walking coaches at weekly sessions. 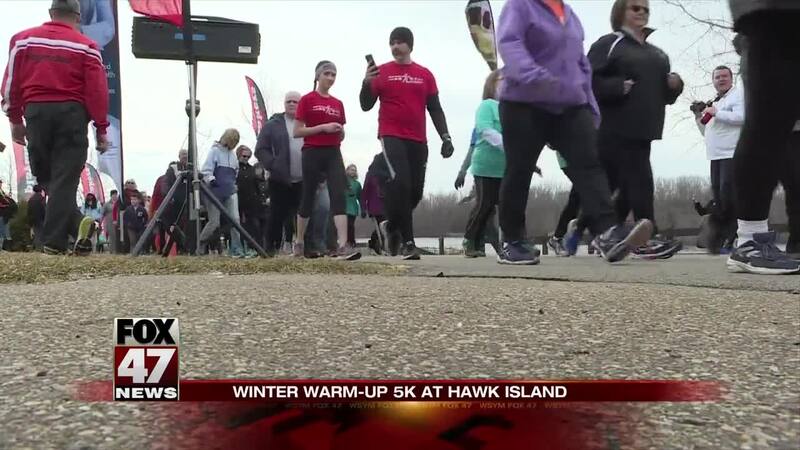 LANSING, Mich. — After eight weeks of preparing, runners headed to Hawk Island park to run in the Blue Cross Winter Warm-Up 5K on Sunday. Hundreds turned out for the event after learning from running and walking coaches at weekly sessions. Organziers say the program is a great way to meet new people while tackling your 2019 health and fitness goals. "It's so inspiring to see different communities of participants come together and just accomplish their goals," Program Director Cindy Eiseler said. "People made a choice to be healthier and they put it into practice for eight weeks and this them now culminating," Community Outreach Director Alicia Armstrong added. This is the fourth year for the training program. The Winter Warm-Up has been around since it first kicked off in 2003.